SO WHAT MAKES A RING AN ‘ENGAGEMENT’ RING? You’ll be surprised (and maybe delighted!?) to know that it’s not the presence of a diamond or a 3 months salary price tag! Over the next few posts I’ll be exploring why people have become addicted to diamond rings and will be sharing with you a pick of the best alternative engagement rings for any of you nontraditional couples who want to go against the norm! The giving of an engagement ring symbolises the agreement of a future marriage between two people. In fact, it has the same meaning across all cultures and religions in the world. Despite this, there are no rules to say what this ring should look like, what it is to be made from or even that one needs to be exchanged at all! In the past, the value of an engagement ring symbolised a proposers status and wealth. This was important in a time when marriages were arranged as they were sadly often based on a families status rather than love. Moving forward to the present day, when people can marry for love, an engagement ring has other representations. Persuasive marketing campaigns have convinced people that the size and value of an engagement ring is relative to how much they love their partner. They can spend years saving up for the sparkliest, largest diamond to show off their ‘love’. Yet surely love shouldn’t be measured by a materialistic object? Alternatively shouldn’t it be based on small, meaningful actions? And wouldn’t it be much wiser to save money for a future life together instead? As times have changed, women no longer need a ring as a form of insurance or dowry. As a result couples are allowed to decide for themselves what the meaning of an engagement ring is to them. (Learn more about this here). In my opinion, no one should feel ashamed for not buying or receiving an expensive diamond ring. In fact, I feel it should be the complete opposite! People should feel proud to show that their love exceeds materialistic objects. They should wear a ring to simply show the fact that they have decided to take a vow of eternal commitment to each other. Therefore it shouldn’t matter if the ring chosen to show this is made by a lady on the local market. Alternatively it could be second hand from an antiques shop or it cost the equivalent of ‘only’ a few weeks salary instead. The important part is that the receiver loves the ring for what it symbolises to them. So whether you’re looking to go against tradition and go for an alternative engagement ring, or if you can’t help but love the sparkle of a diamond, take a look at my pick of the best alternative engagement rings. Regardless to the style or gemstone they will all leave you more money than expected to spend on other aspects of your wedding or future life together. For those who are looking for something more unique than a diamond. These beauties are made by the talented Whitney Shelhamer in her studio on the Californian coast. Every component is hand forged, cut, set, sanded and shaped which means that each one is wonderfully unique. 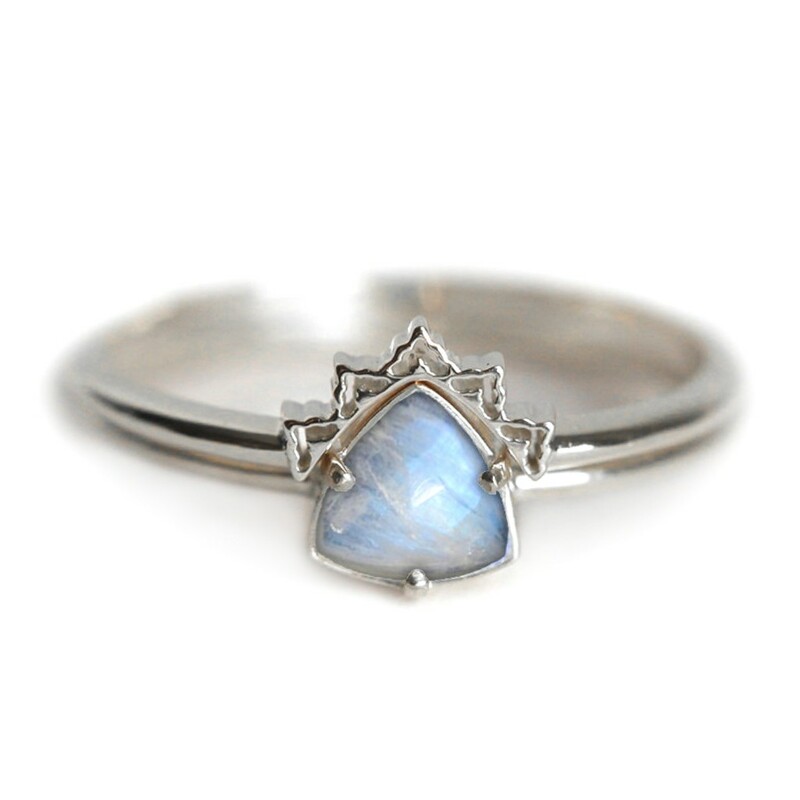 These dainty rings are made from Rainbow Moonstone and are part of a wedding ring set. The set also features an 18k white gold lace wedding band. 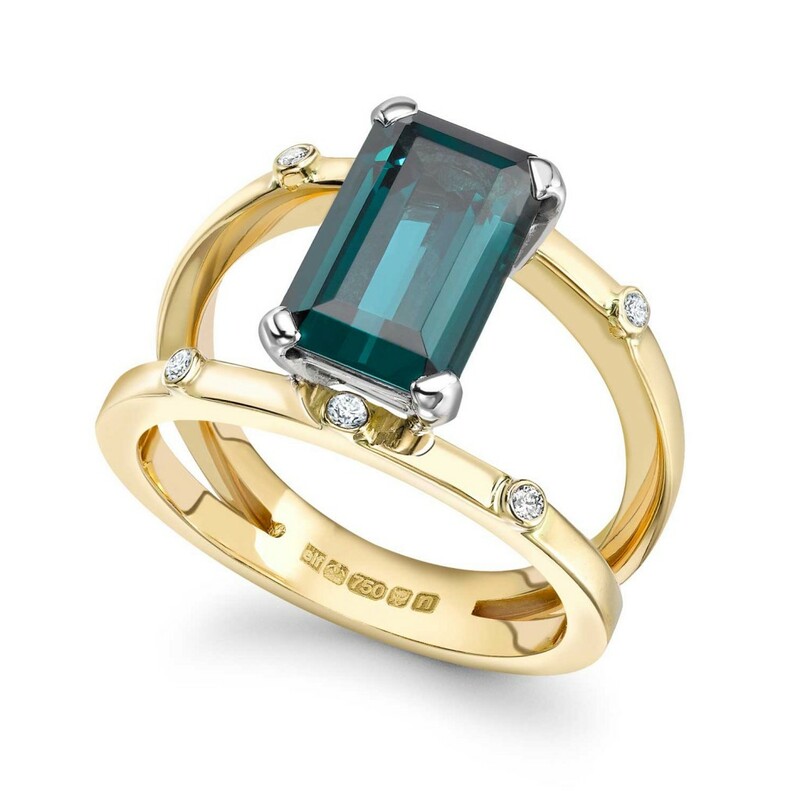 Capucinne are based in Slovenia and have a large collection of alternative engagement rings on offer. 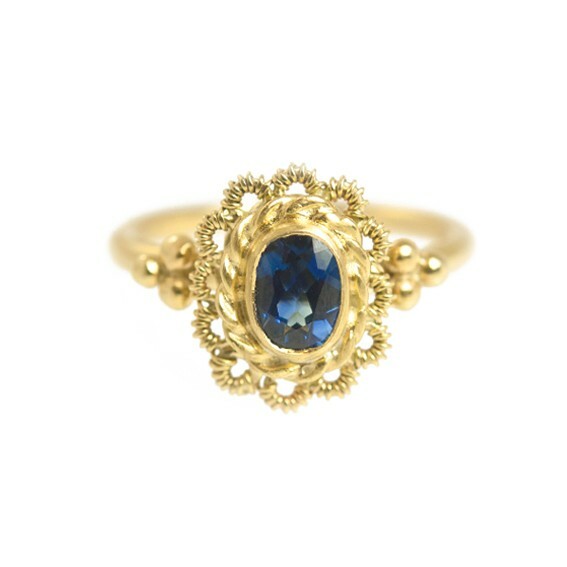 This more classic ring stars a rich blue sapphire and features Hélène’s signature wrap detailing around the bezel. She is inspired by poetry, religious icon medals and floral motifs. All of the rings are made in London. For those who love sparkle and the tradition of diamonds, but who want a unique touch! 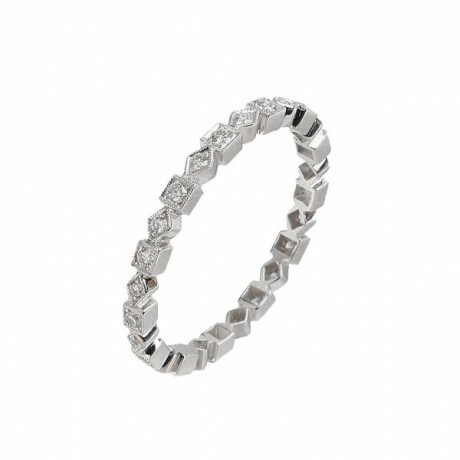 This eternity ring features princess and rectangular cut diamonds arranged in a vintage art deco inspired style. It is lovingly handmade in 18 carat White Gold by the Hungarian wife and husband team ‘Ungar and Ungar’. 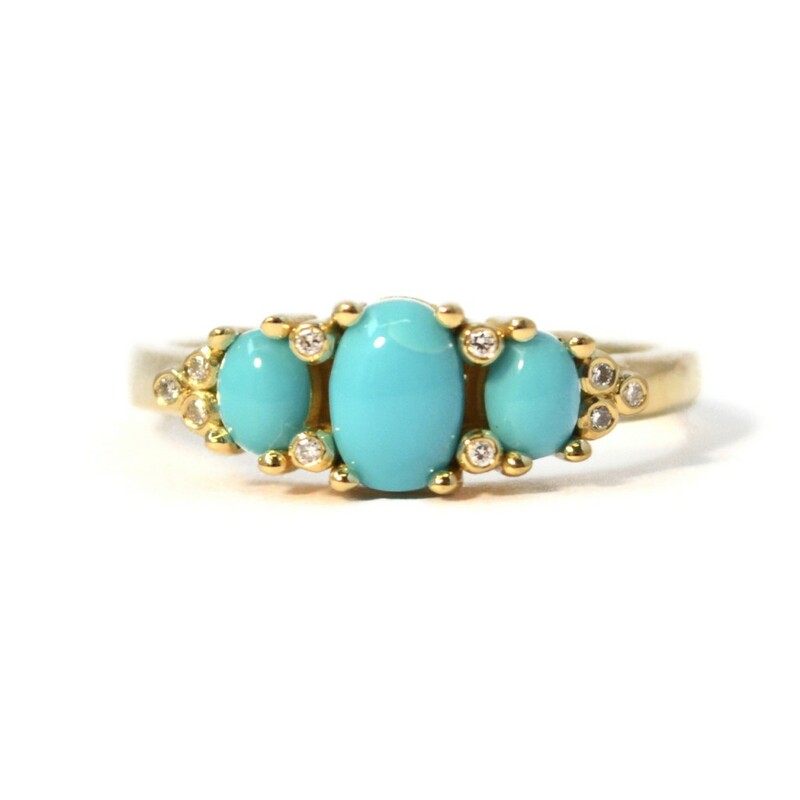 Their name has been synonymous within the jewellery trade for five generations. 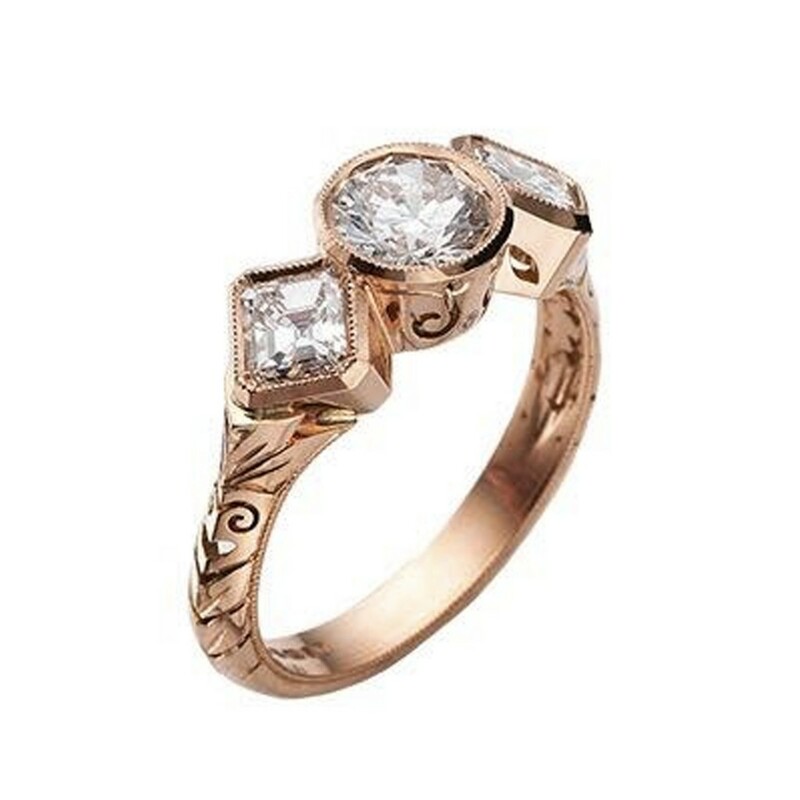 This unusual 18ct rose gold, rose cut diamond ring is a combination of heritage design and modern aesthetics. It is made using traditional craftsmanship by Charlotte, founder of Ivy Nixon, in East London. She believes that the value of jewellery is not just in the materials, but in the care that has gone into making it. Why not go for a grey diamond? 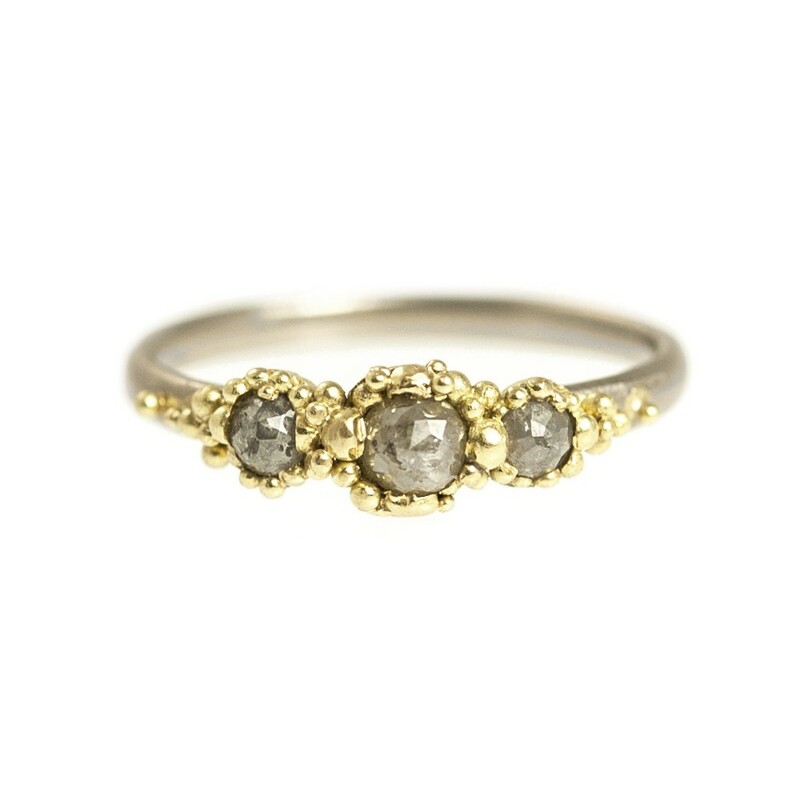 This 18ct white gold ring features a trio of grey rose cut diamonds surrounded with 18ct yellow gold. This ring is inspired by organic growth patterns in the natural world. Hannah uses granulation to create raised, textured surfaces that entwine each piece. For those keen to challenge tradition but also have a little classic sparkle! This great Etsy find consists of 14K rose gold, but can also be made in 14K white gold or 14K yellow gold. 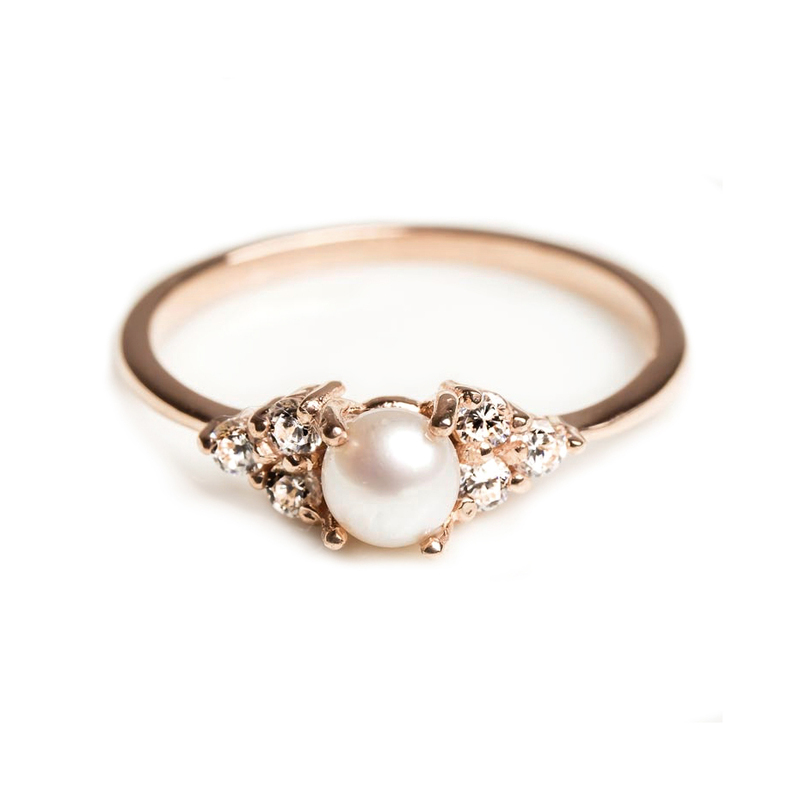 It contains a freshwater pearl- 3mm in diameter, surrounded by 6 diamonds. They are handmade by Ayla in her studio in Turkey. 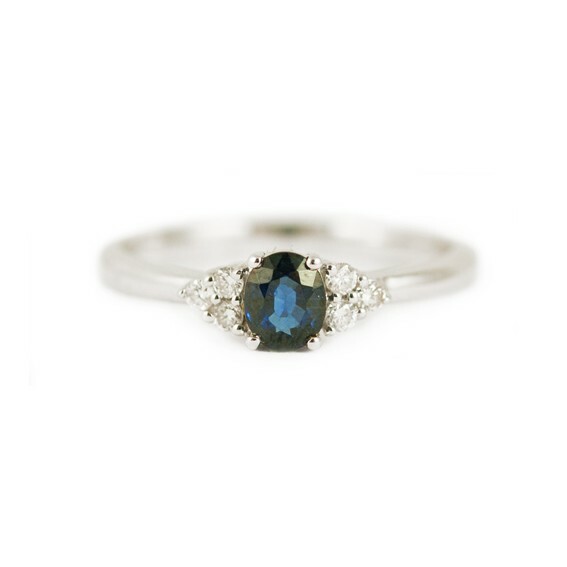 This 9ct white gold ring consists of an oval cut blue sapphire flanked with six white diamonds. 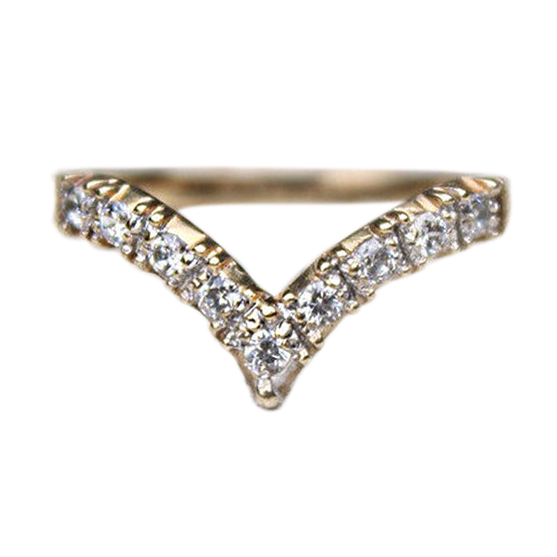 It has an antique look and is a classic engagement ring choice. It’s ideal for those wanting both sparkle and colour. 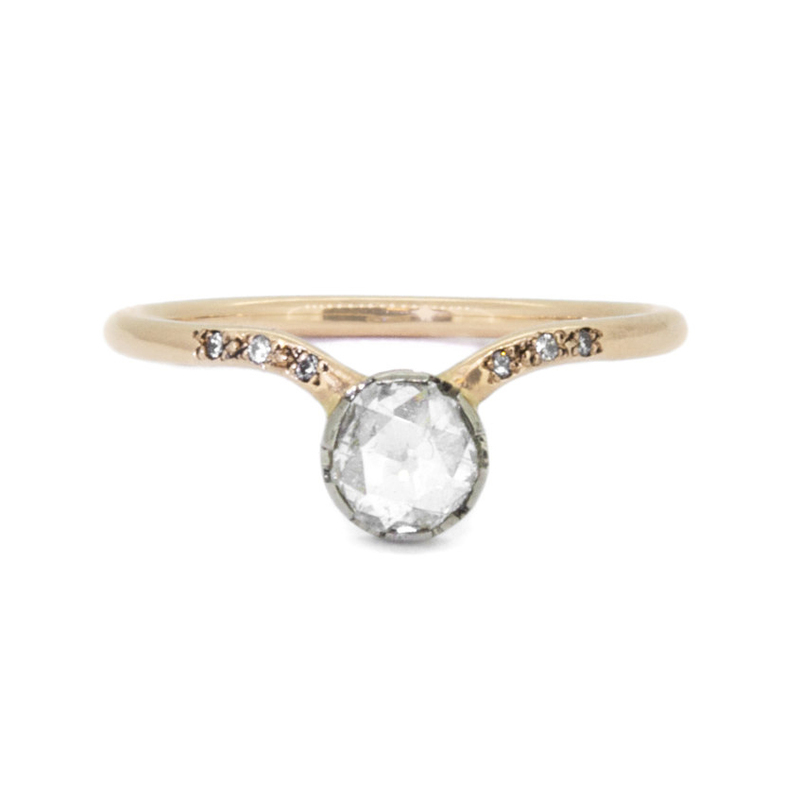 This alternative engagement ring contains one of a kind pear sapphires with white diamond. This is for the more colourful bride-to-be! Holly Browning is a newcomer to London’s jewellery scene, graduating in July 2014 with a First Class Honours in Jewellery and Accessories from Middlesex University. She creates beautiful pieces of bespoke jewellery in a range of materials and makes stunning alternative engagement rings. London jewellery designer Anneka Moore is based in the Goldsmiths Centre and offers bespoke design of engagement and wedding bands. She draws inspiration from her surroundings in London, and all things fashionable and organic. She uses traditional manufacturing techniques and precious materials, to create wearable, luxurious and aesthetic jewellery. 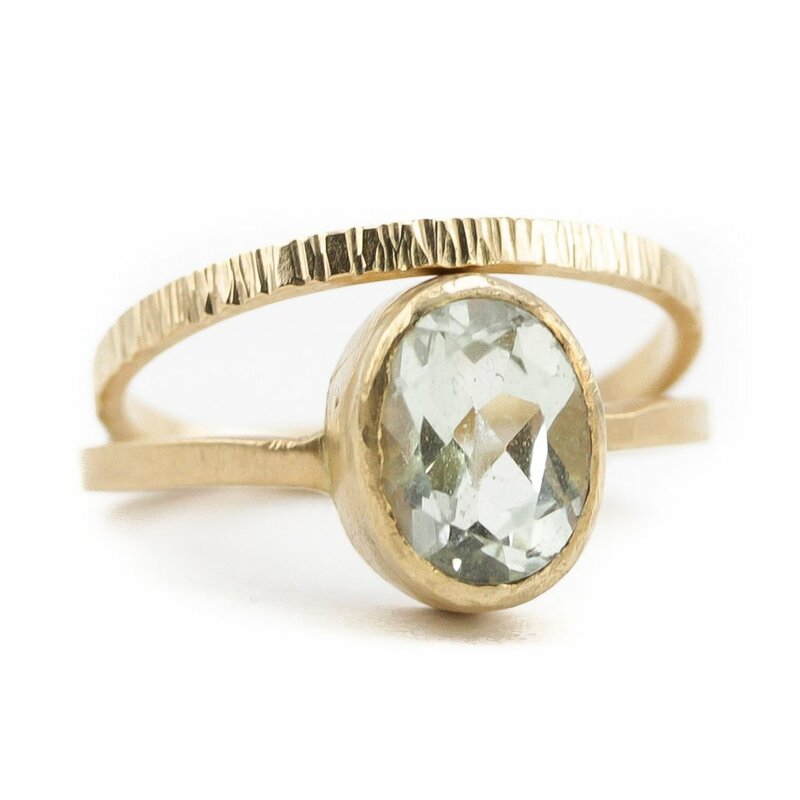 Emma works in Londons jewellery capital- Clerkenwell, in her own studio. She welcomes all her clients to visit and meet in person to discuss their bespoke ring ideas. Emma uses local specialist and modern techniques, and specialises in luxury materials. She is particularly well known for her art deco inspired pieces. 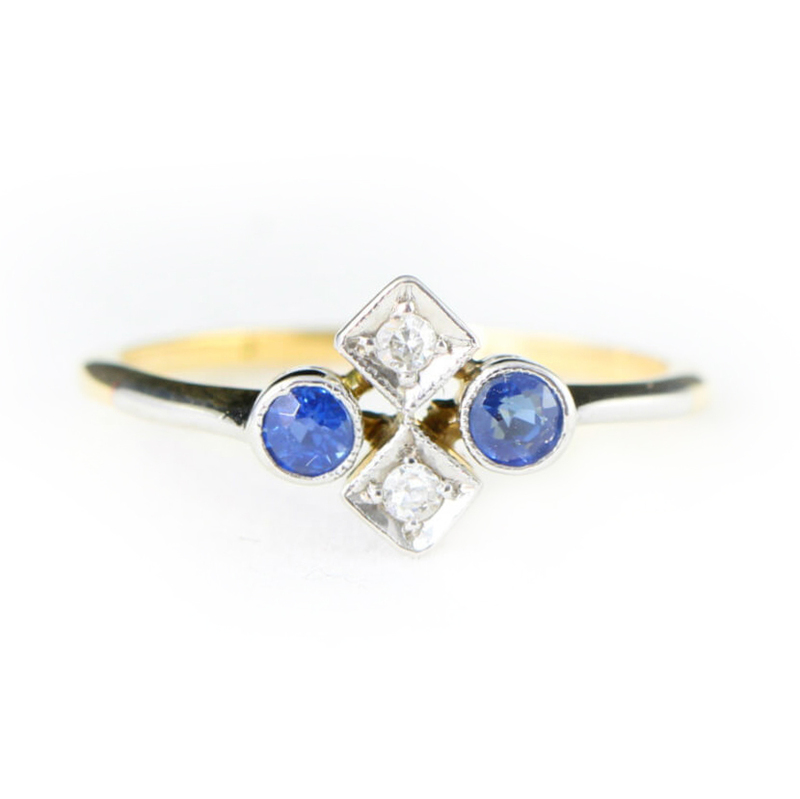 Story and Stone, based in London, curate a curious collection of rare and fine antique and vintage rings from across the country. They focus on statement pieces and individual sourcing requests. 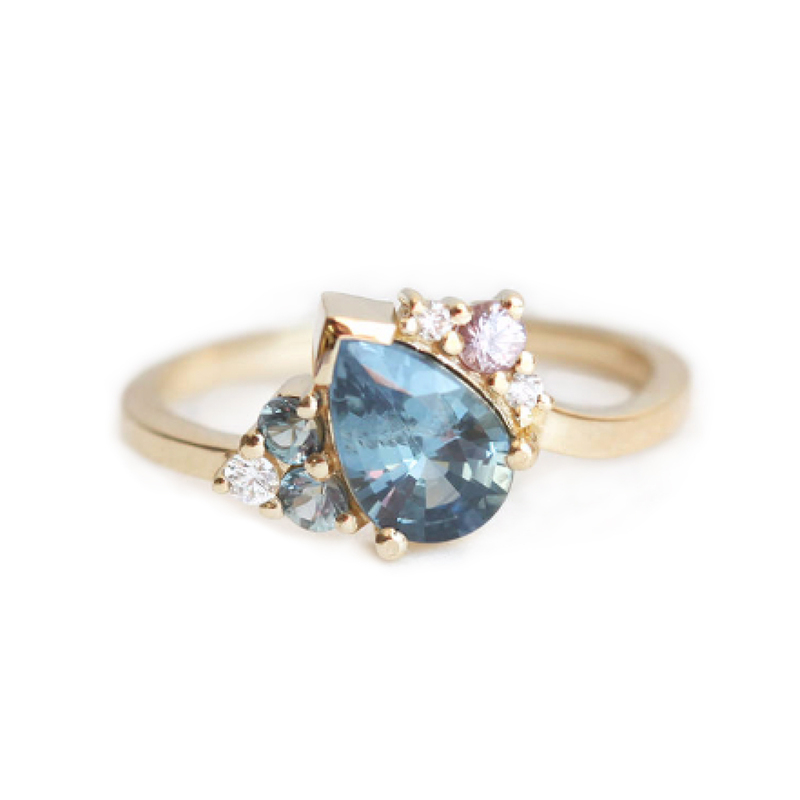 Aardvark Jewellery specialises in the unique, they aim to find only the most gorgeous antique rings. Established in 1977, this family jewellers is located in the heart of the jewellery quarter in Birmingham. Many people inherit jewellery which is perhaps not their style. At Ring you can get it remodelled into something you like whilst still keeping the sentimental aspect of it. 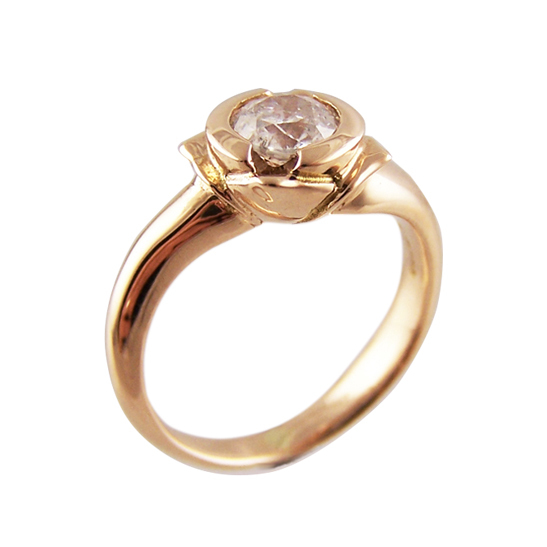 The ring above was originally a diamond solitaire ring and was remodelled into an 18ct rose gold diamond rose ring.